Our professionals make us able to offer Hiring Services For Indoor Plants. These services are widely demanded in official and institutional areas. We opt best indoor plants for the place of the customers. Also, we do proper curing of the hired plant and keep it away from fungal attack. - Plants bring life into all interiors, be it your home or workplace. Plants help to clean the air we breathe and provide peace and tranquility in our often busy lives. 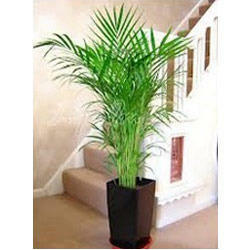 We provide Air purifying plants on Rent to corporates with maintainance services. Being one of the reputed organizations of the industry, we are offering an exclusive range of Plant Rental Service to our precious clients. These offered services are rendered using high quality plants under the supervision of skilled personnel. Further, one can avail these services from us in various types at leading prices. Ferntastica Gardens recognises the need for new landscape and garden designs, especially when you are putting together a set for the hosts. We have solutions for every vision you envisage to help you create memorable experiences for your clients. We offer completed Technical Service operators of maintenance of D.M. Plant Including Resin. STN Office Plants install quality green and flower plants in corporate offices and we are expert in our work. We always listion our client and try to make a feasible solution for their actual requirmrnts. As specialists in this industry, we provide our respected clients Plant Rental Services. Client can avail our plant from us on rental. Offered plant is enormously demanded in various places like events, hotels, offices and institutes due to its attractive look. 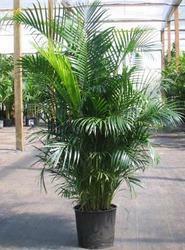 This plant enhances the beauty of place and we provide this plant on rent at pocket friendly prices. Special Events can be made more special with addition of exotic live plants. Our team can quickly turn any facility into a lively event venue for a particular event. We can help to make any type of corporate stage events, religious stage events or any other type of social gathering exclusive and special by plants. Indoor as well as outdoor plants on hire. "Currently we are more focused for projects which are nearby Thane Region (Maharashtra). As we are having dedicated team to deliver better services in these regions." Plants on rent and Hire ! - We are specialists in plant rental and leasing for commercial spaces, special events, and residential interiors. Plants Alive! offers a wide variety of tropical and flowering plants, trees, and planters for all types of events including parties, weddings, sporting tournaments, professional meetings, conventions, and banquets. Special occasions are made more special and rooms are made more beautiful with the addition of live plants and trees. Our sales team can quickly turn any facility into a beautiful venue for a particular event. Farm Fresh Indoor Plants On Annual Rental Basis Spot Rentals on daily Basis With Maintenance, Plant Care 8 Replacement of Aged Plants. Indoor plants are basically Shade loving plants growing in tropical forests under the dense canopy of trees with limited sunlight. ECONOMICAL WAY OF ENJOYING FARM FRESH INDOOR PLANTS Round the Clock With no Hassle of Plant Care & Replacement of Plants. We are a one stop shop for the right amount of rental of greens that converts your offices, corporate spaces, commercial buildings, hotels etc into an enticing space for you. Plants can improve air quality around the office/residence and brighten things up, creating a friendly and relaxed environment. Pushpam’s Plant Rental division takes up AMCs for servicing ornamental plants all over Mumbai region. After more than 25 years in business, renting plants is truly our specialty.